Am writing guest post in Maha’s lovely home today ➡ . When she asked me to write guest post in her site, I was so happy . She is such a wonderful human who wants to give space for other’s to grow in this competitive blogging world. This is my first guest post as well. But I took very long to send her a recipe. Sorry Usha, there is no purpose on it. Was locked with official work. While planning for recipe, I was looking for some delicious, special and a super cool treat for her lovely kids too. Muffins are the best choice. That too colorful red muffins, I hope that her kids and readers enjoy this recipe. 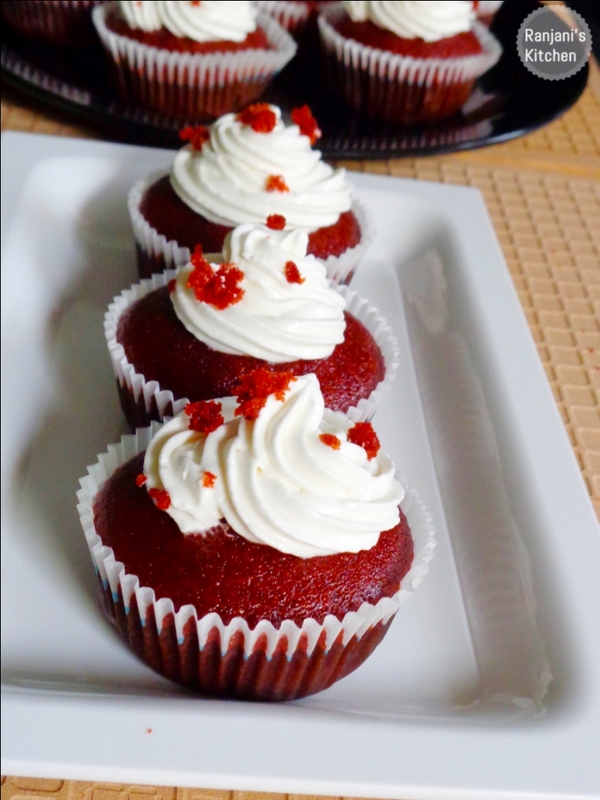 Check out my red velvet muffins in maha’s page.